RFID is an exciting new technology that is finding its way into a variety of different industries; pet identification, keyless entry, hospitals, inventory management and tracking, tollway collections, security, data collection, wildlife tracking, and much more. Beyond that, RFID is just plain cool and fun to play with. RFID has found its way into many DIY and interactive art projects over the last few years as people experiment with the possibilities of the technology. 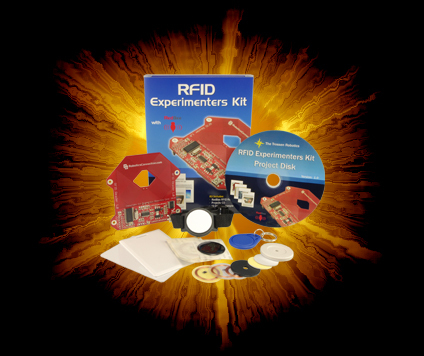 Now anyone can learn about RFID with this great RFID Experimenters kit. The projects disk comes with 5 great projects to do at home including RFID Login for your computer! 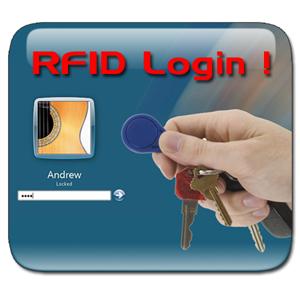 The RedBee RFID Reader is a ground breaking first in many areas. Capable of being used as a tethered device to a PC or microcontroller OR as a preprogrammed stand alone device it is the only hobby reader with both options. 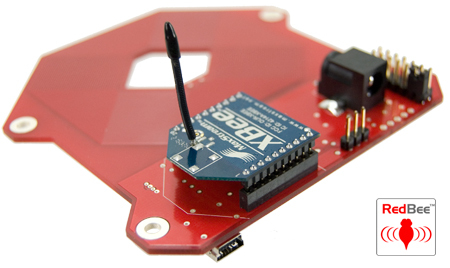 The RedBee also comes default with USB and TTL serial with the ability to add Xbee for wireless communication. Very cool!